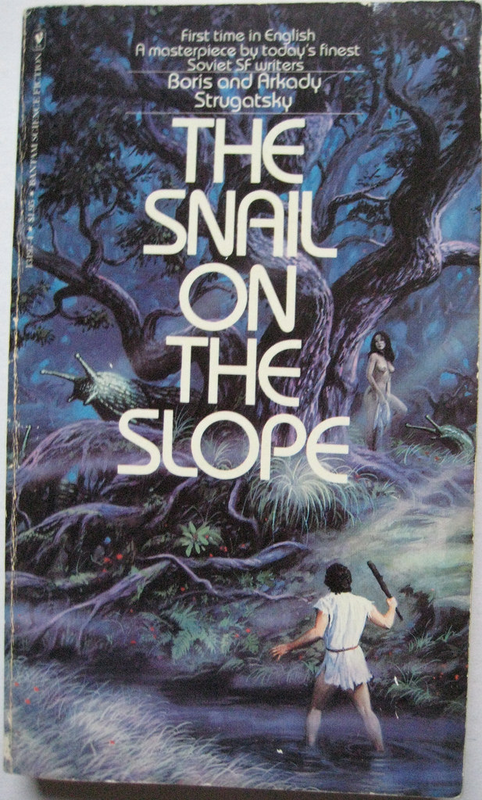 The Snail on the Slope takes place in two worlds. One is the Administration, an institution run by a surreal, Kafkaesque bureaucracy whose aim is to govern the forest below. The other is the Forest, a place of fear, weird creatures, primitive people and violence. Peretz, who works at the Administration, wants to visit the Forest. Candide crashed in the Forest years ago and wants to return to the Administration. Their journeys are surprising and strange, and readers are left to puzzle out the mysteries of these foreign environments. 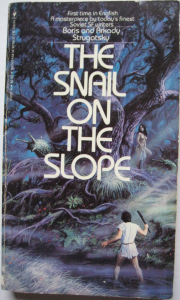 The Strugatskys themselves called The Snail on the Slope "the most perfect and the most valuable of our works."